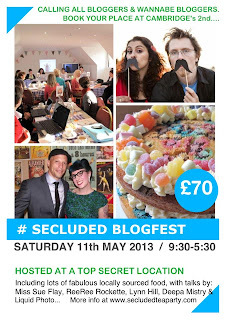 Secluded Blogfest 2013: Bring a Friend for FREE! 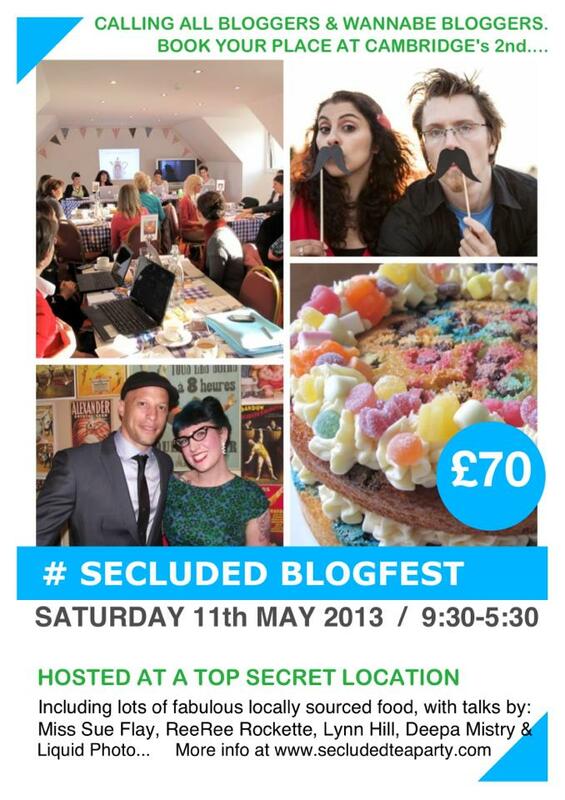 The Secluded Blogfest is coming… If you hadn’t heard and we are so excited! And we have a VERY special announcement on the tickets for this week only…. In the build up to my next event over the coming weeks, I will be introducing you to our guest speakers and letting you all get to know a little about them and what they have planned to talk to our lovely guests about on Saturday 11th May at our secret bloggers hide out. You can read the full details and itinerary for this event here. 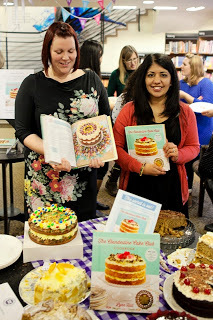 We like to take you out of town with the Secluded Blogfest and help to unwind ever so slightly, with great food… cake is naturally always on the menu at our events too! 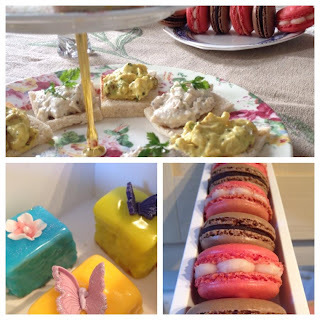 The ticket price for this inspirational blogging event is currently set at £70 per guest. However, for this week only, if you have got a friend or colleague that you believe would benefit from coming along to this event to network with our fellow bloggers, writers & very special guest speakers, then when you book your ticket, you can bring your friend for free. Yes, they can join you for 100% free of charge. 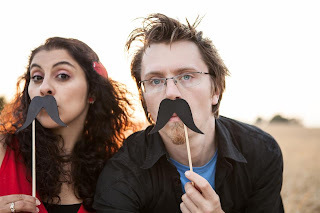 No catch... other than they need to be friendly and interested in the topics we intend to cover! This also means that you can share the cost of your ticket, should you wish to do so, but still get the full benefit of a superb day with the best bloggers and social media enthusiasts around… What’s not to love?! You will both also benefit from a breakfast, lunch and fuel to keep you going throughout the afternoon, as well as wifi access at our venue to get cracking or tippy tapping away whilst you are with us. … it’s yours to make it your own, so please do enjoy the conversation and networking it will create! with details of you and your guest. So get booking… you have until Sunday 28th April to take advantage of this sweet deal! The Secluded Blogfest 2013, please click here. To book your ticket for this event – please click here. You can read about the talk from Lina & Tom of LiquidPhoto.co.uk by clicking here. You can read about the talk from Deepa aka The Lazy Giraffe by clicking here. Please Note – This is not open to tickets already purchased, apologies.